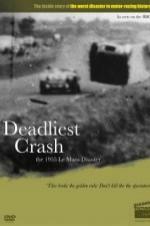 Buy or Rent Deadliest Crash: The 1955 Le Mans Disaster (2010) Movie DVD & BluRay Online! Movie Plot: Three years in the making in conjunction with the BBC. Using never seen before home movies, photos and eye witness accounts – this is the inside story of the world’s biggest motorsport disaster.